An award has been created for those who have demonstrated extraordinary pursuit in cementing Brotherly Love and Affection throughout all of Masonry, more especially in District 19. 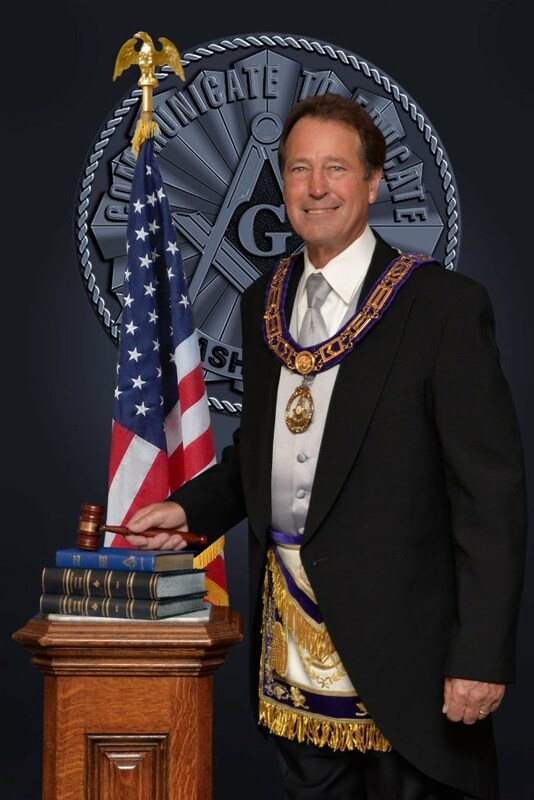 This award is to be bestowed annually by the District Deputy to the Grand Master of Free & Accepted Masons of Washington in concert with the Worshipful Masters throughout the District. I can think of none other who throughout his Masonic life consistently demonstrated such devotion, being often referred to by many as a Mason’s Mason, than the late Very Worshipful Brother Cecil L. Tackett. No matter where you went, if Cecil was there, he made the effort to let you know that you were welcomed in the most friendly and loving way. So let it be known that this award be called “The Cecil L. Tackett Trowel Award”. Cecil in many ways but even once remarked that one of his most proud moments in his Masonic life was not a single act but rather one of cementing relationships through Brotherly Love of the craft and affection for all with whom he came into contact. Presenting this award is Mrs. Joanne Tackett, widow of our beloved Brother Cecil. In recognition of his unrelenting pursuits, this award goes to Worshipful Brother Steven L. Thompson of Mt. Hood Lodge #32.